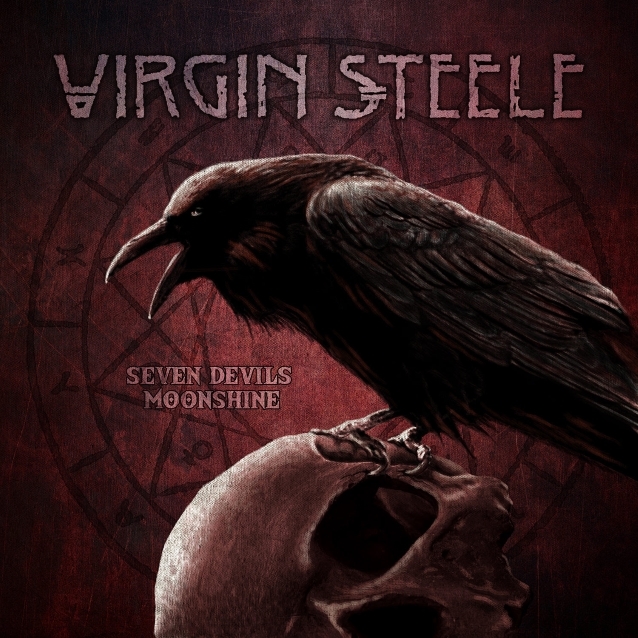 U.S. metal veterans VIRGIN STEELE will release, “Seven Devils Moonshine”, a special five-CD box set, for their 35th anniversary. Founder and mastermind David DeFeis states: “As some of you may know, we have been reissuing the VIRGIN STEELE catalog bit by bit over the past several years, and in doing so we have consistently been adding copious amounts of bonus material to accompany all these various reissue offerings. The last two albums scheduled as part of the reissue campaign we began are the albums ‘The Book Of Burning’ and ‘Hymns To Victory’. When those two albums first appeared, they were released simultaneously. Therefore, we thought why not once again issue them at the exact same time, but, this time, let’s include a brand new album and create a kind of box set package. Well, once we began planning and recording for such an endeavor, we very soon accumulated far more material than what could possibly fit on one disc, so we thought, ‘Okay, fine. We’ll plan on releasing two new discs chock-full of new material to go along with these last two reissues, and, shortly after that decision was made, we managed to record even more new material, so now we have in addition to the two reissues (which, by the way, do contain one bonus track each), well, friends, we now have actually three brand new discs of VIRGIN STEELE material included within this special box set release. “I wish to stress the fact that what we have done here with our box set is include three brand new albums, not bundle in merely a collection of old bonus tracks we had hanging around for ages and ages. These three new discs contain either brand new original songs written and recorded within just these past few months, or brand new rewritten covers of songs that we enjoy and felt could be re-cast in the VIRGIN STEELE style, or new recordings of classic VIRGIN STEELE material done either in a special orchestral type setting or stripped way down and reimagined in vastly different form. Again, at the risk of repetition, these aren’t tracks that have been sitting around in the vaults waiting — these are all newly recorded tracks completed specifically for this particular box set release. I don’t know if anyone has ever done this kind of thing before, but we felt that for us it was absolutely necessary to do this, and it makes perfect sense for where we are… at this moment. SPV/Steamhammer will release “Seven Devils Moonshine” on November 23, including five CDs (a total of 88 songs), where three CDs contain totally new songs and new versions. The package will also include a sticker and a 24-page booklet with new lyrics and photos by David DeFeis.